A classic mountain gaiter, the Montane Endurance Pro Gaiter has been design to be lightweight, tough and offer optimum protection. Its unique ergonomic patterning provides a close fit without restricting freedom of movement. The hook and loop closure is placed near the outside leg to allow for increased ankle articulation. 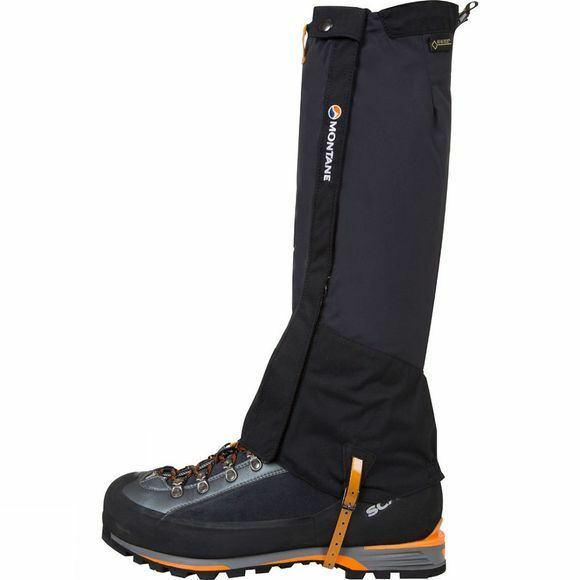 Constructed from Gore-Tex Pro fabric, this gaiter offers protection and durability in extreme environments.